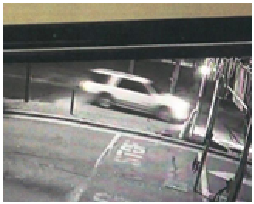 Anne Arundel County Police are seeking your help in a fatal hit & run. On June 25, 2016 there was a fatal crash involving a motorcycle on Crain Hwy (MD-3) southbound at Capital Raceway Rd in Crofton. Video from nearby businesses identified an SUV that was likely struck by the motorcycle while it was turning into the Crofton Auto Park parking lot (YK Classic Car Wash, Jiffy Lube and Goodyear Service Center). 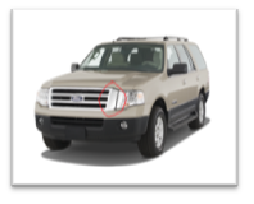 The SUV was a two-tone, light colored 2007-2011 Ford Expedition XLT or Eddie Bauer edition that was leaving the Capital Raceway or Skate Zone at approximately 11:30 pm. There should be a sizeable missing piece of the chrome grill from the driver’s side, as well as some smaller pieces from the lower bumper/air dam. Anyone with information or who may know the identity of the suspect involved in this case are asked to contact METRO CRIME STOPPERS.